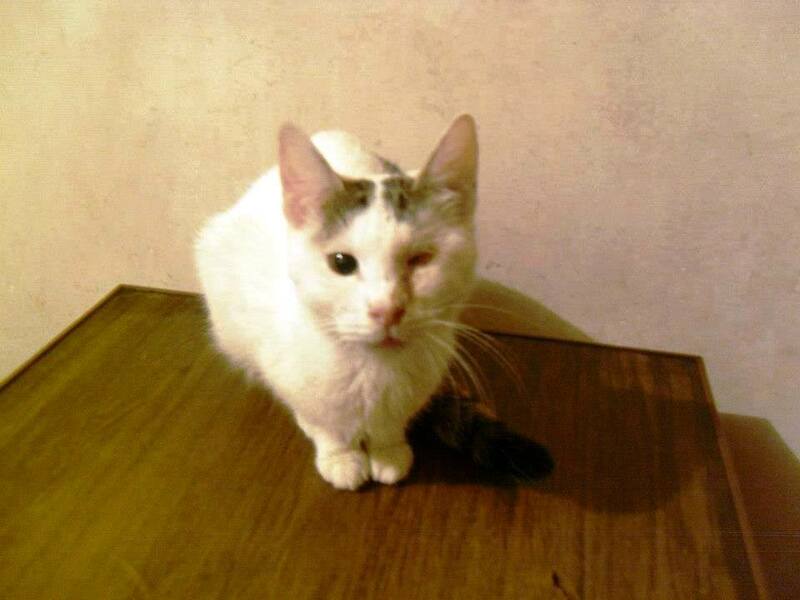 Tufftom was a Bosnian street cat who lived in the rough streets of Sarajevo. He was injured and had a large wound on his neck. 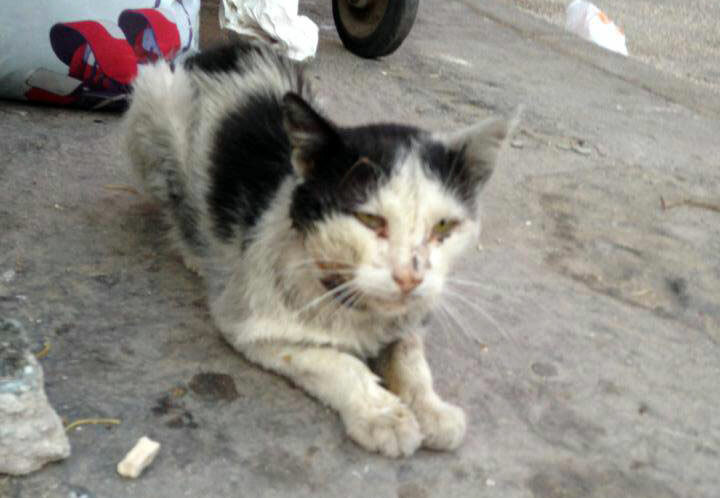 Like most strays in Bosnia — dogs or cats — he was subject to abuse and starvation and freezing to death in winter. Facebook activists from all around the world rallied around collecting donations, and local rescuers managed to catch him but sadly for Tufftom help came too late. 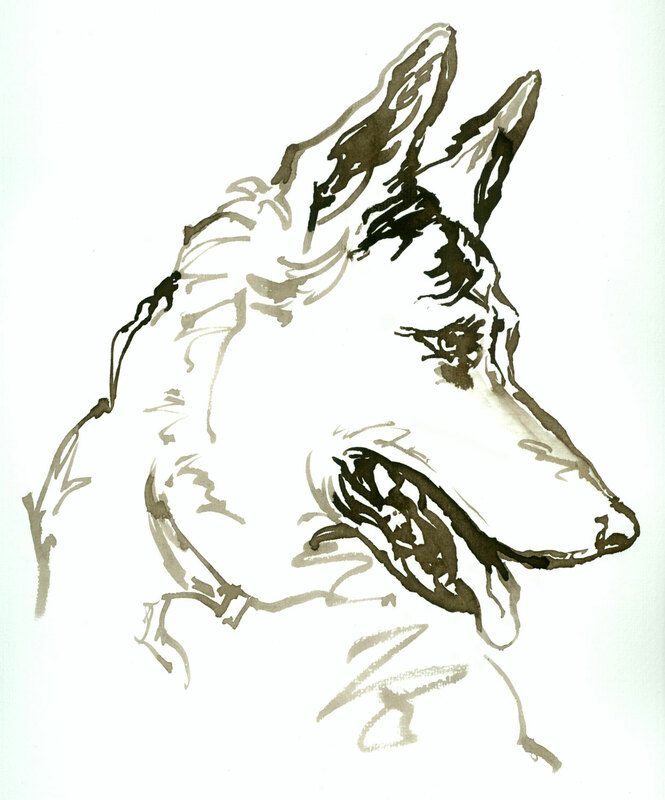 He died before veterinary intervention could help. 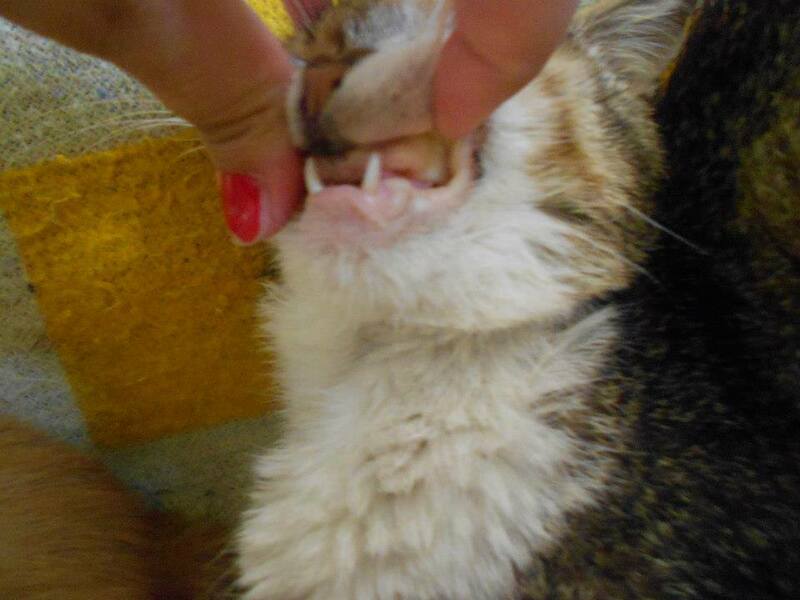 Another cat with a similar injury was also seen and a rescue was attempted, but sadly failed. 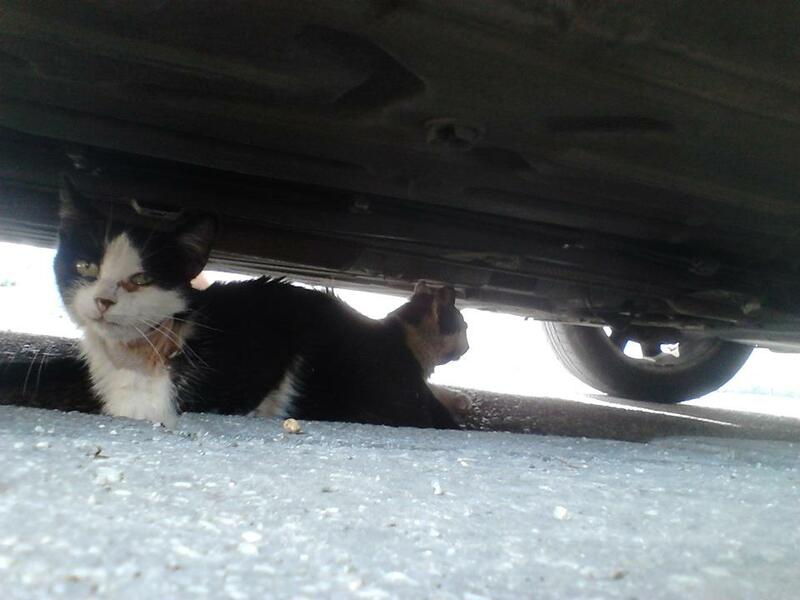 The stray cats in Sarajevo are for the most part terrified of people and very difficult to catch. We were unable to save Tufftom’s life, but we still have a chance to make a difference. 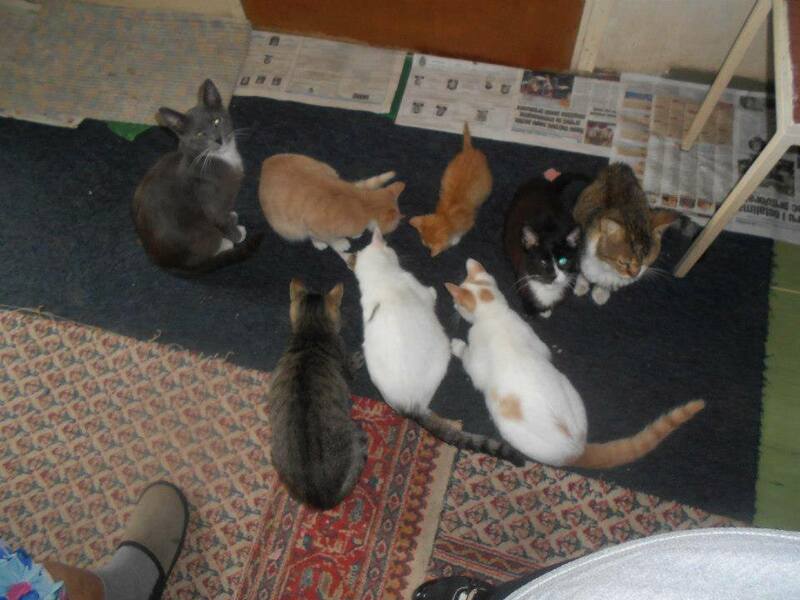 It was decided to use the donations collected towards a large group of cats in desperate need. 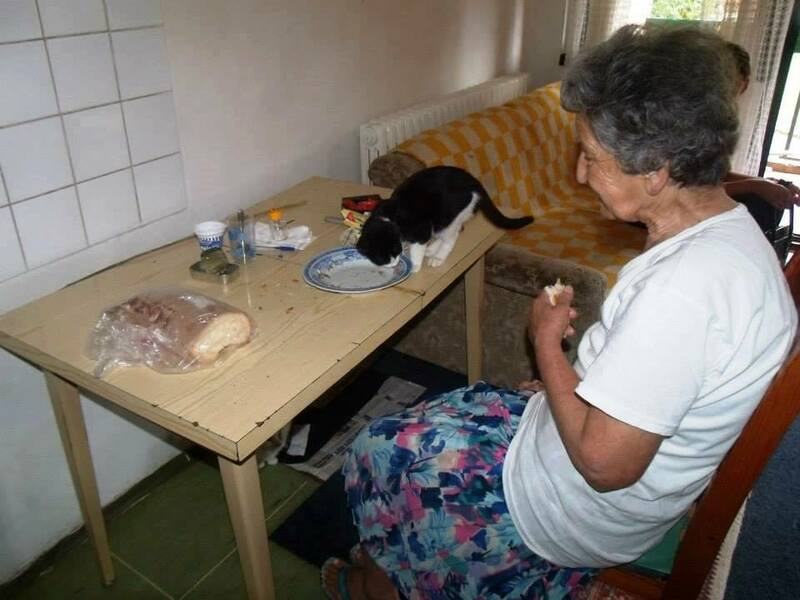 Meet Jela, an 89 year old Bosnian lady who lives on a minimum pension and still takes care of a houseful of cats that she tries to keep safe from the streets. The money raised in Tufftom’s memory went towards food, medication against parasites and fleas, and to spay one of the female cats. But there is still much need. When we first heard about Jela from Aldin Pašić and Edina Pašić, animal activists who run the Sarajevo based animal welfare and rescue organisation, Andjeo Sarajevo, Jela was taking care of 21 cats. 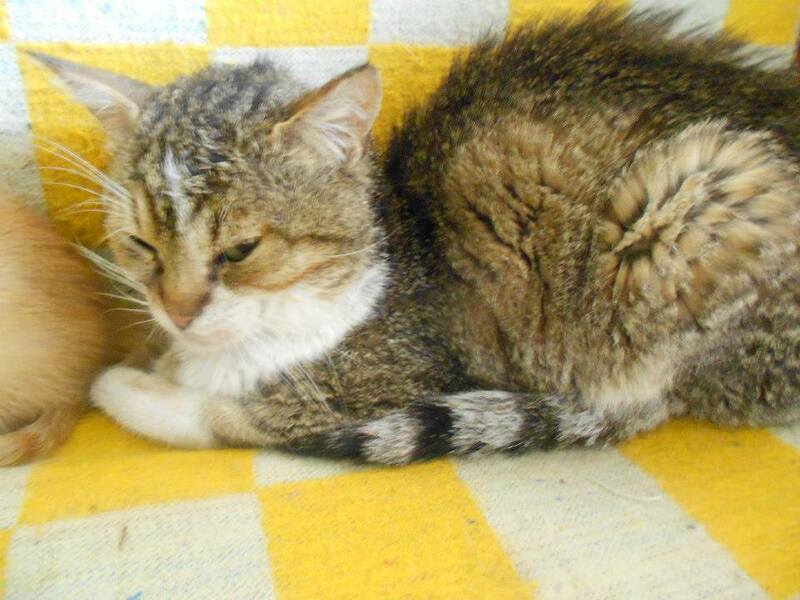 However Aldin and Edina adopted one kitten and its mother and were able to find homes for two other cats, so there are now 17 cats in her home. Jela herself has absolutely no comforts in her apartment that she shares with the cats, but she still does her best to take care of all of them. These cats mean everything to her. She struggles financially to cover their bills: some of the cats need veterinary care, as several have severe eye infections that need treatment. All the cats need vaccinating against diseases. One poor cat called Boxer has a particularly sad story. Boxer was beaten in the face by someone who hates cats. All but two teeth of Boxer’s are broken. He was one of the healthiest, fattest cats in Jela’s house, but now he is very thin. He needs good quality, high calorie food and vitamins to help him gain strength and health. Jela needs help. 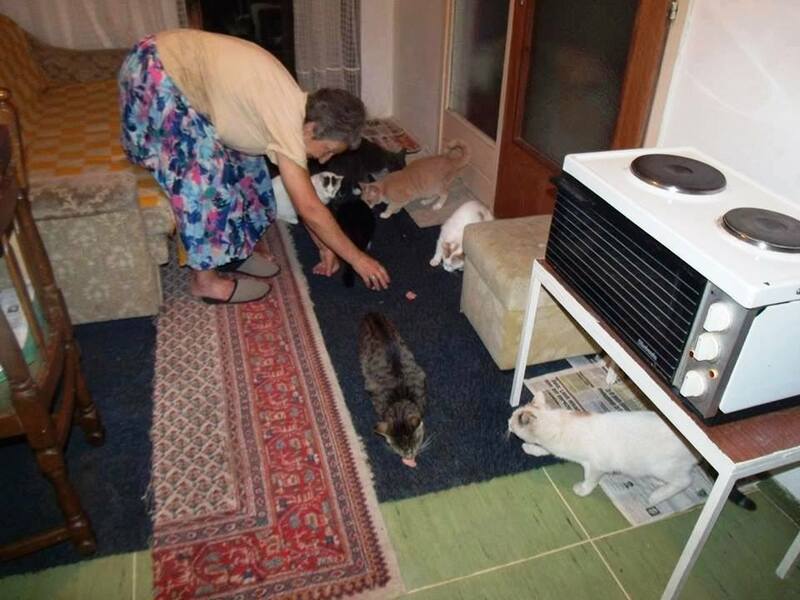 She needs help with feeding the cats, taking them to vet, caring for them in the cold winters of Sarajevo. Edina and Aldin try their best to help her to take care of the cats, but they need financial support. So this is our chance to step out and help Jela take care of the cats she loves so dearly. You can donate directly to Andjeo Sarajevo via Paypal: andjeosarajevo@gmail.com – PLEASE NOTE “FOR JELA AND HER CATS”, or donate via AWAB as detailed below. Again, please make sure you mark your donation “for Jela and her cats”. The cats Jela has in her care right now are all sterilised – this is always a priority. 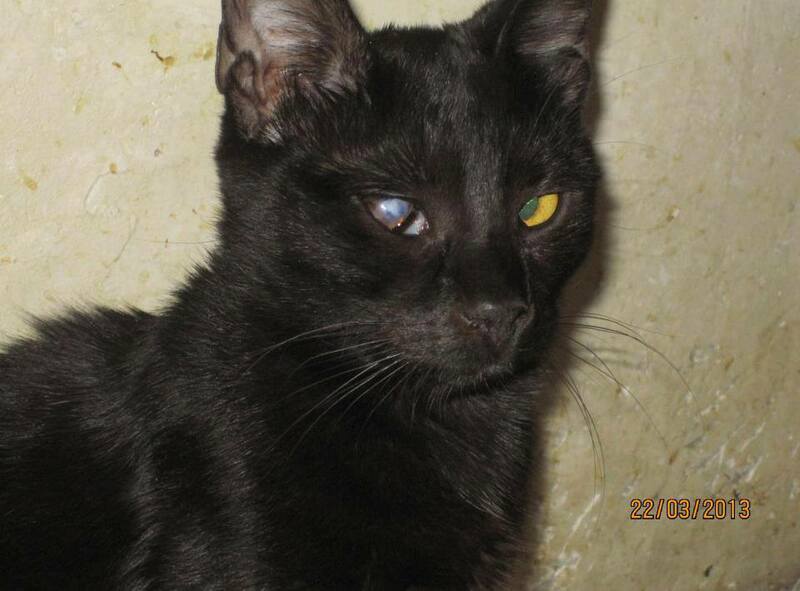 But donations are needed for food, vaccinations and veterinary care for those cats who have eye infections. It costs 30 Euros to complete a vaccination protocol per cat (about $45 USD). One month’s food for all cats is about 70 Euros (about $100 USD), perhaps little more to ensure high protein soft food for poor Boxer. For ongoing information on Jela and her cats and information about what is needed, please visit the Facebook Page in memory of Tufftom. DONATIONS Funds are needed not only to help individual rescues and to help us keep safe the rescued dogs we are sponsoring but also to continue our advocacy work in Bosnia, uncovering the truth about what is happening there. 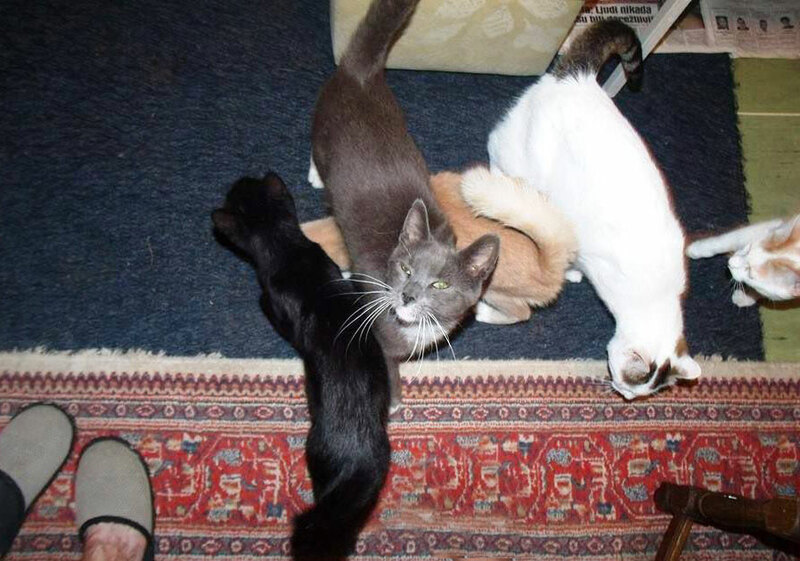 This entry was posted in Urgent - cats needing help by Sandra Jensen. Bookmark the permalink. I don’t have any money to donate but i hope Jela’s cats do get the care they need!